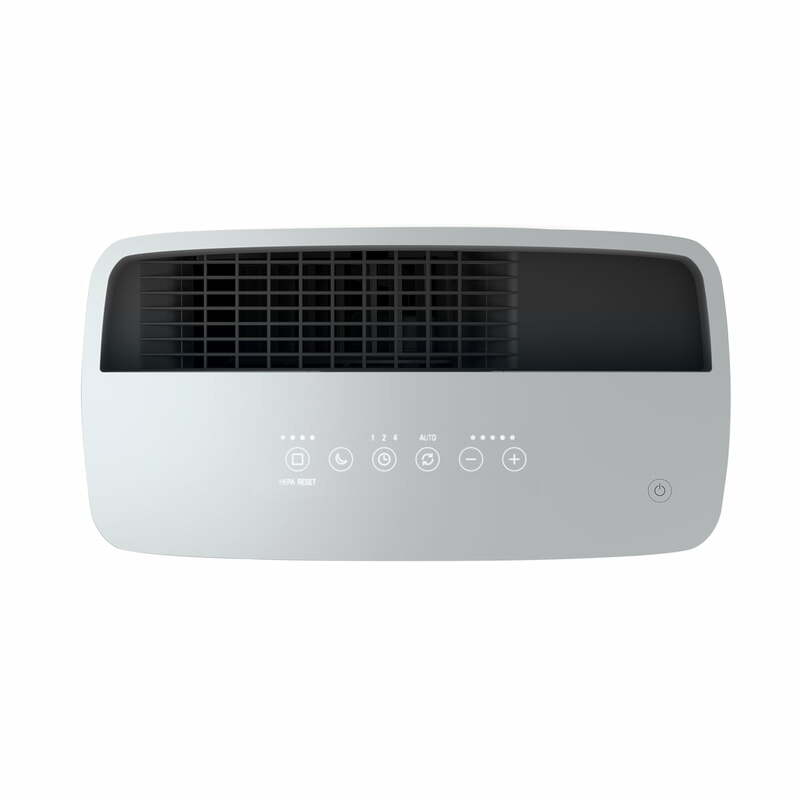 The Roger Little air purifier by Stadler Form removes harmful pollutants, gases and odours from the indoor air. Thanks to two sensors, Roger Little continuously measures the quality of air and instantly detects volatile organic compounds, fine dust, pollen, viruses and bacteria. The air quality indicator keeps you informed of any deterioration in air quality with colours (blue = good, orange = medium, red = poor). The air is cleaned with the help of a dual filter, a combination of a HEPA and activated carbon filter. While the HEPA filter removes pollutants such as pollen, allergens and particles, the activated carbon filter absorbs gases such as tobacco smoke, formaldehyde or volatile organic compounds. An additional pre-filter first removes coarse particles such as hair or dust from the air and thus protects the dual filter from unnecessary contamination. The system was developed in cooperation with the filter specialist Freudenberg and thus guarantees the best quality - Made in Germany. Roger Little features 5 cleaning stages, but also has an intelligent auto mode that adjusts the cleaning performance to the current needs of the room. An integrated night function also ensures that the Roger Little does not make any noise during the night. 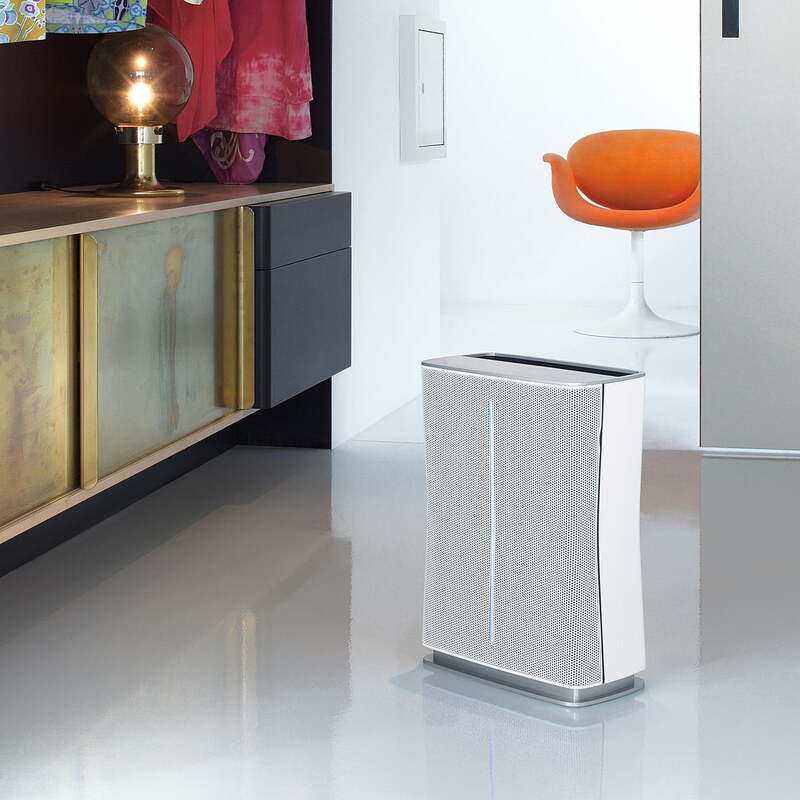 The Roger air purifier is suitable for rooms up to 35 m². Allergy sufferers can finally breathe a sigh of relief because Roger Little reliably filters animal hair, excrement of dust mites and pollen from the air. This also makes it ideal for households with small children, where fresh air is a real must. Depending on the exposure to air and gases, the dual filter should be replaced every 8-12 months. Thanks to the intelligent filter timer, Roger shows exactly when it is time to replace the filter. 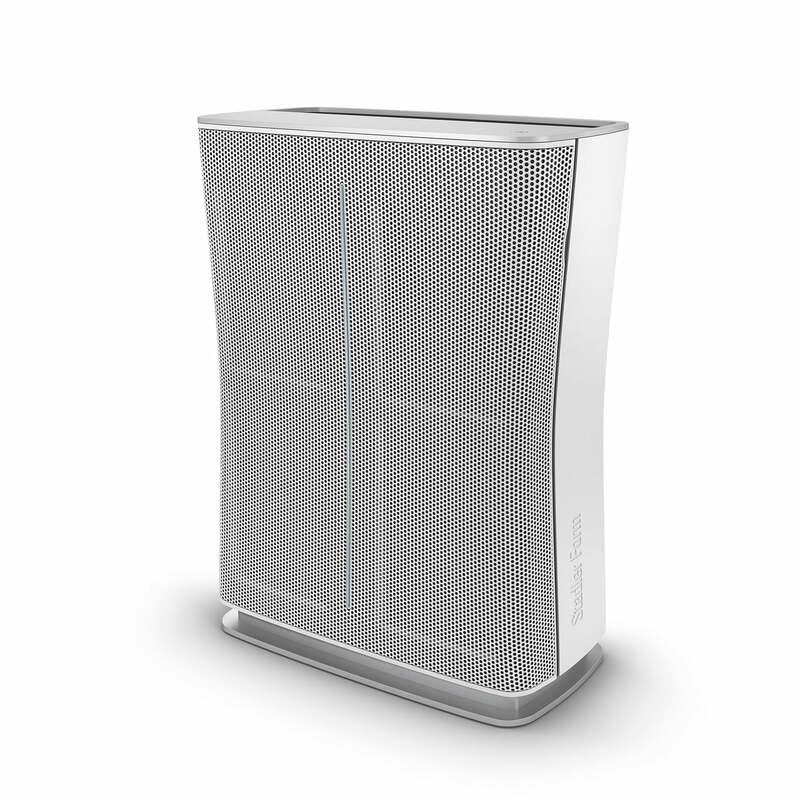 Isolated product image of the Stadler Form - Roger Little air purifier. Thanks to two sensors, Roger Little continuously measures the quality of air and instantly detects volatile organic compounds, fine dust, pollen, viruses and bacteria. Isolated product image of the Stadler Form - Roger Little air purifier. The air is cleaned with the help of a dual filter, a combination of a HEPA and activated carbon filter. 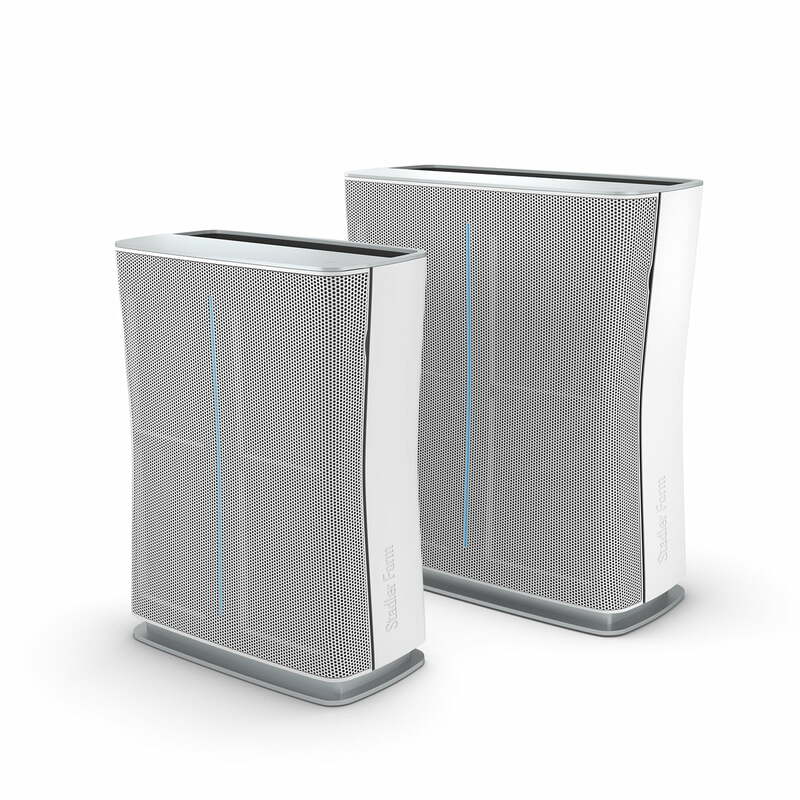 Isolated product image of the Stadler Form - Roger Little air purifier. Roger Little features 5 cleaning stages, but also has an intelligent auto mode that adjusts the cleaning performance to the current needs of the room. 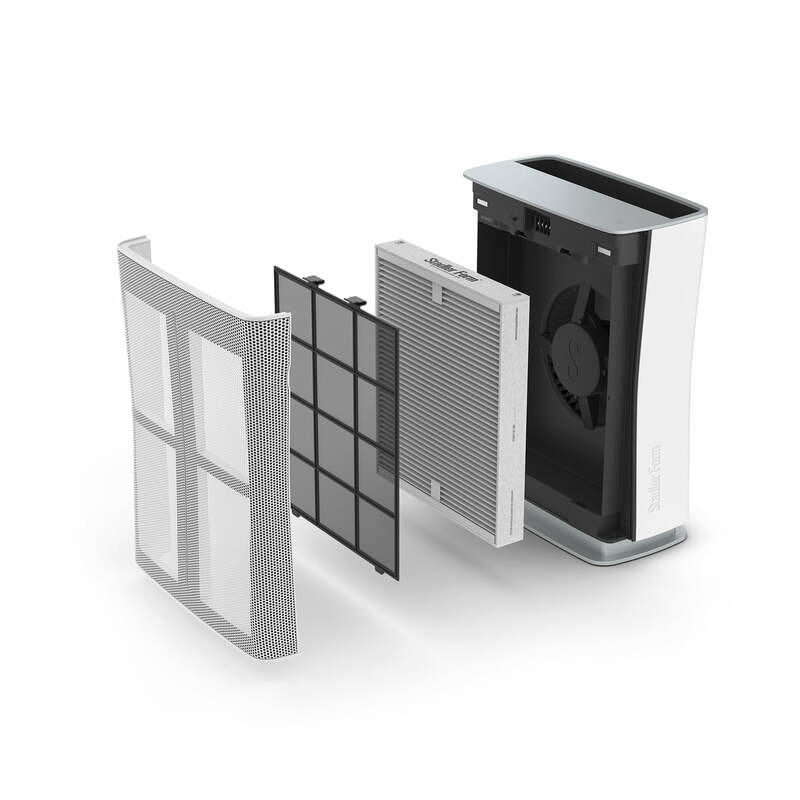 Group product image of the Stadler Form - Roger air purifier. Roger is available in two different models - Roger Little and Roger respectively suitable for 35 m² and 74 m² rooms. 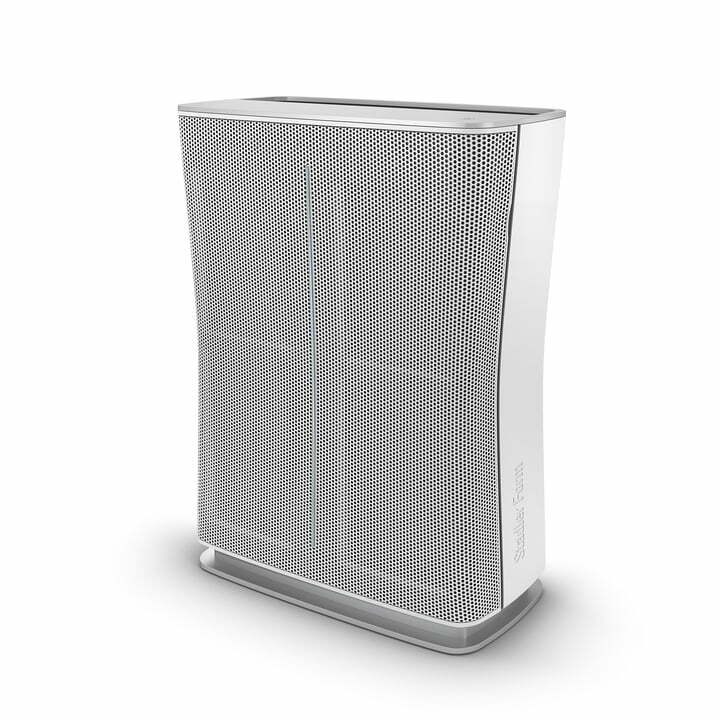 Isolated product image of the Stadler Form - Roger Little air purifier. The Roger Little air purifier by Stadler Form removes harmful pollutants, gases and odours from the indoor air.